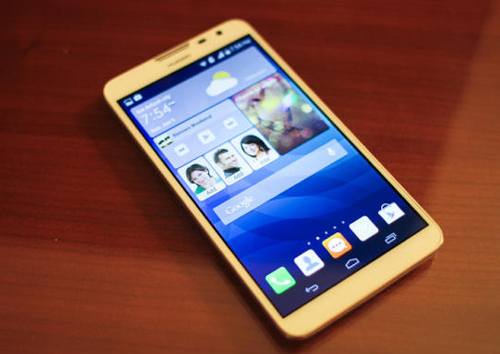 After many leaks, now the Huawei Ascend Mate 2 4G is official. The 6.1″ screen is kept by the tablet but it updates the chipset with faster connectivity and more processing power. With four CPU cores clocked at 1.6GHz, the Ascend mate 2 4G features a Snapdragon chipset and also 2GB of RAM. 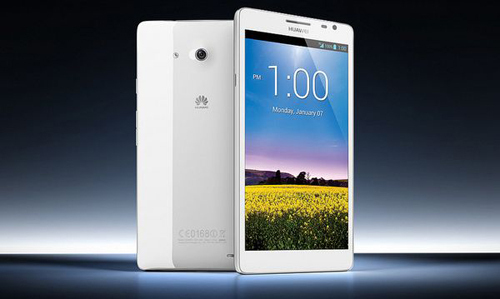 With the Huawei’s custom Emotion UI2.0, Android 4.3 Jelly Bean will be run by the phablet. The storage has been upgraded to a double 16GB (along with a microSD card). To a 13MP shooter with 1080p video, the camera was also upgraded. The front-facing camera is an impressive 5MP, f/2.4 with 1.4µm pixels. To 16GB along with microSD card, the storage has been doubled. The battery of 4050mAh is still here also with the option of charging other phones. From the original 3G, the connectivity goes to Cat. 4LTE. The weight of Ascend Mate 2 4G is 202g, up from 198g. But Huawei has managed to slim it down from 9.9mm to 9.5mm thick. The bezels also became a bit thinner.